Get a pencil. A piece of paper. 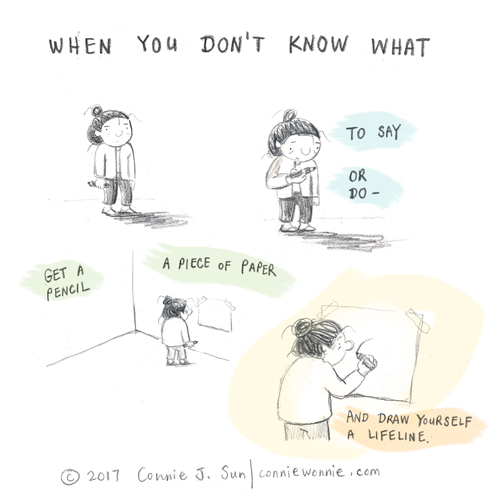 Write or draw yourself. A lifeline. Your cartoons have inspired me to start doing just that. Thank you for leading by example :).